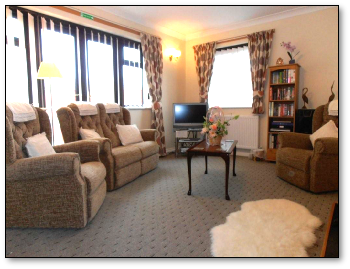 With three piece suite, coffee table, colour Freeview Television, DVD player, Video recorder and Hi Fi. A selection of videos is provided for guests to view. The modern fitted kitchen is provided with gas cooker and oven, fridge with small freezer compartment, washing machine and microwave. 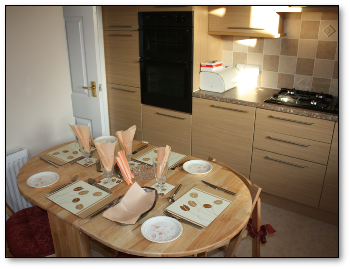 A dining table with four chairs, cutlery, crockery and a selection of cooking utensils are also provided.